Latest funding of Ashar Aziz's FireEye and Zia Yusuf's Streetline rank #1 and #4 among top 5 VC deals in Silicon Valley announced in January 2013, according to Silicon Valley Business Journal. FireEye is riding high on a wave of growing cyber security concerns amidst increasing cyber attacks being reported almost daily from around the globe. 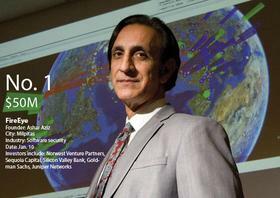 FireEye's founder Asgar Aziz is among the top recognized experts in the field of Internet and computer security. With the recent $50 million round from top investors, the company has raised $100 million to date. 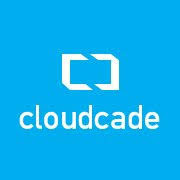 The new funding comes from new and existing investors — including Sequoia Capital, Norwest Venture Partners, Goldman Sachs, Juniper Networks, Silicon Valley Bank, and others. Streetline is offering smartphone applications to help drivers find the increasingly scarce parking spots in crowded places. The company bills itself as "the leading provider of smart parking solutions to cities, garages, airports, universities and other private parking providers". The company has raised $25 million in January, 2013 from True Ventures, with participation by new investors Qualcomm Ventures and Citi and existing investors Sutter Hill Ventures, RockPort Capital Partners and Fontinalis Partners. The company has now raised a total of $40 million, and it says it recently obtained a $25 million credit facility from Citi, too. Another Pakistani-American who has been in the news is Rayid Ghani who served as the Chief Scientist in President Obama's re-election campaign organization. Before joining the Obama Campaign, Ghani worked for Accenture as Chief Scientist and developed tools to mine mountains of private data of client corporations to find statistical patterns that could forecast consumer behavior. Instead of just using Facebook for posting messages and tracking its followers’ feelings, Ghani's team turned social media into a tool for efficiently recruiting the human resources it needed leading into the election’s home stretch. Using Ghani's tools, the Obama campaign was able to match up supporters’ friends' profiles with voting lists and decide how it should reach out to supporters to reach their friends through micro-targeting. If someone was going to spread a message to 10 people, the campaign wanted to ensure they reached 10 people most likely to take actions such as donate money, get active knocking on doors or even to switch sides. Pakistani-Americans Ashar, Ghani, Zia and many other entrepreneurs and professionals like them from Asia represent a dramatic shift in Silicon Valley's racial mix over the last few decades. I have been a witness to this historic change. 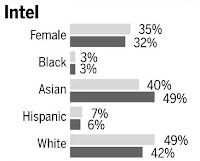 When I arrived here to join Intel in 1981, there were few non-whites in the Valley. 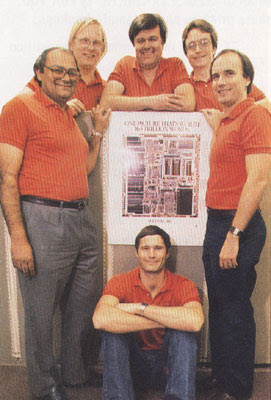 In fact, I was the only nonwhite person in a picture of the six-member award winning Intel 80386 CPU design team which was published by the PC Magazine in 1988.